Once upon a time, during the CPBL All-Star Game Weekend (1995 and 1996) there was a thing called “The Skills Challenge“. It is an event where players compete with each others in various baseball related skills. 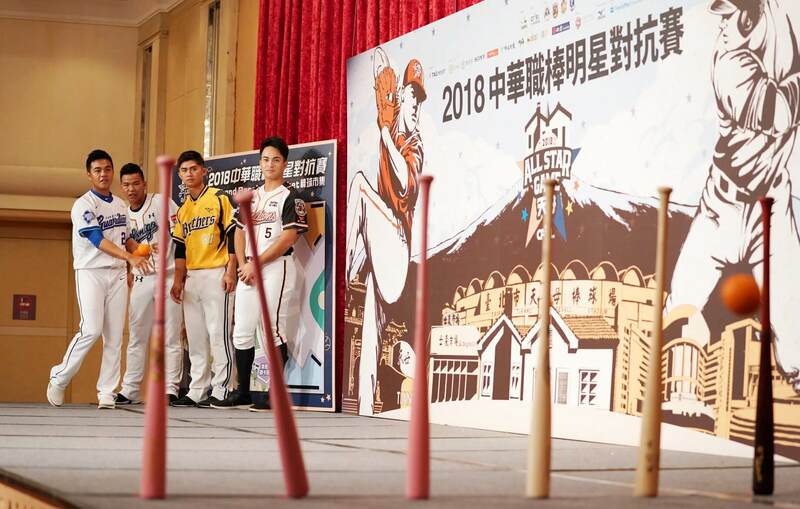 At the 2018 CPBL All-Star Game press conference, the league have announced the revival of the Skills Challenge. Pitching Accuracy Challenge: Players will try to hit eight targets with baseball. Laser Arm Challenge: Players will stand in the outfield and hit the target at home plate. Positional Players Fastball Challenge: Who can throw the fastest. Base Running Race. Base running relay race, with each players running two bases. Home Run Derby: Pretty self-explanatory with this one. Unfortunately, the league did not bring back the bunting and hitting accuracy challenges this year. But you can have a look at the videos of those two skills challenge here. 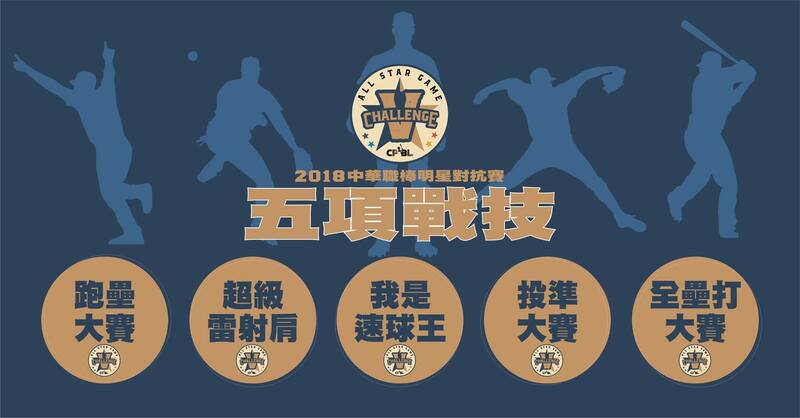 Apart from the 16 CPBL players, Logan Wade and Andrew Campbell from the Australian Baseball League (ABL) will also participate in the 2018 All-Star Weekend Skills Challenge. According to the CPBL press release, both Wade and Campbell will be competing in the Home Run Derby and the Base Running Relay Race. Any rumored changes in the CPBL’s foreign pitchers between now and the start of the second half? There are a lot of starting pitchers in the Atlantic League who are available and pitching well, including Bennett Parry, Daryl Thompson, Dallas Beeler, Jake Fisher, Cory Riordan, Nate Reed and Rick Teasley. No rumours at the moment. But David Martinez is definitely on thin ice, judging from the public comments from the Lions’ skipper. They are thinking about putting Martinez to bullpen in the second half season, which in the CPBL means the first phase of getting cut from the team. Would like to see Rick Teasley coming back to Taiwan again, as in here for the full spring training. Travis Banwart, who spent three seasons pitching in the KBO, is one of the best starters in the American Association, which is the second best of the North American Independent-A Leagues. I’m not aware of many CPBL teams signing players out of the American Association, however. Foreign players directly coming from American Association? Very rare, the last one I can think of is Scott Richmond with the EDA Rhinos/ Fubon Guardians (2016, 2017). One reason why CPBL teams might want to consider American Association and CanAm League pitchers is that the independent-A leagues all have actual or de facto caps on experienced veteran players each team can sign each season. The American Association has a hard cap on the number of experienced veteran players on each roster and the CanAm League probably does also. While it appears that the Atlantic League does not have a cap, the $3,000 per month per player and $55,000 per month per team (25-man roster) caps act as a cap on the number of experienced veteran players each team can sign. For each veteran player an Atlantic League team signs for $2,500 to $3,000 per month, there has to be a less experienced player making between $1,200 to $1,900 per month. The minimum monthly player salary in the Atlantic League is $600 per month, but I doubt there are many players making that little unless they are true professional baseball rookies. The upshot is that the best veteran independent-A league pitchers that CPBL teams like to sign, particularly in season, are spread out across the three top independent-A leagues. For example, three CanAm League pitchers whom I like as possible CPBL pitchers are David Rollins, Tyler Alexander and Ryan Searle. Searle is an Australian whom I seem to recall pitched at some level in the CPBL a year or so ago. Yeah, I have been sort of following Ryan Searle, guy is killing it over there in the CanAM. He is another one of those pitchers that did not adjusted well in Taiwan due to the humid weather. I remember reading that the Monkeys actually sent scouts to the ABL to scout him prior signing him. It’s always a bit of rolling the dice with people sign from the independent leagues. Mexican League “tend” to be a bit more “consistent” from memory. We will see if there’s some movement before the 831 trade deadline. Maybe we will see more signing of the top of the Atlantic League pitchers. Maybe there is a chance we might see signings from the AA too, since the Team China is currently playing there as The Texas AirHogs in preparation for the upcoming Asian Games. And I’m sure Team Taiwan’s scouting team will probably have people there to watch them, so maybe they will discovered some talents from the AA. Tyler Alexander signed today with a Mexican League team for the Mexican League’s second half, that league having adopted a split-season format like the CPBL. Alexander pitched well the last two winters in the Mexican Pacific League after summering in the American Association. If Alexander is successful in the Mexican summer league, we could certainly see him in the CPBL in 2020 or 2021, as he is only 26 this season. What time will The Skills Challenge starts and where can we buy tickets? July 8th, 16:00 Taiwan time at the Tianmu Stadium. You can pre-purchase the tickets using those ticketing kiosk at any Family Mart convenience store.